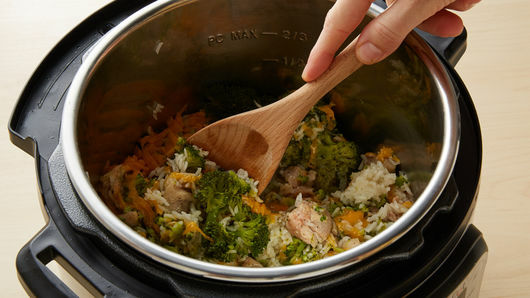 Spray 6-quart Instant Pot™ insert with cooking spray. 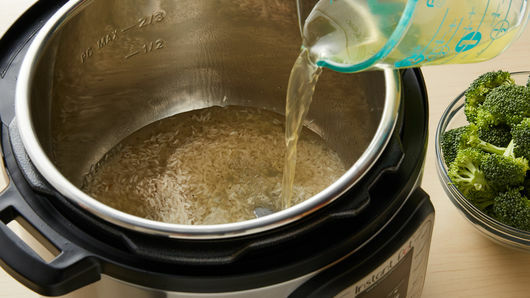 Mix broth, rice, salt and pepper in insert. 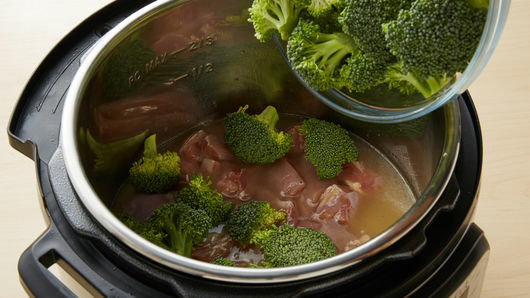 Stir in chicken and broccoli. Secure lid; set pressure valve to SEALING. Select MANUAL; cook on high pressure 10 minutes. Select CANCEL. Set pressure valve to VENTING to quick-release pressure. Stir in cheese. Broccoli will break down when stirring. While precut bagged broccoli florets make an easy shortcut, you can also cut your own. One large head of broccoli will provide plenty of florets for this recipe. 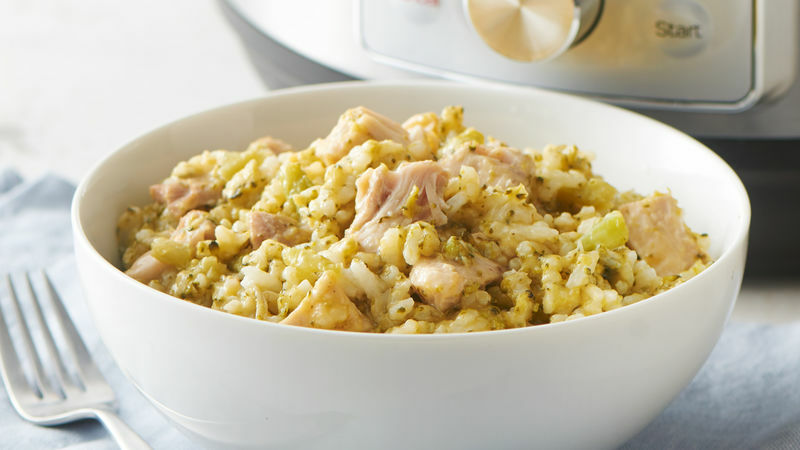 We used chicken thighs instead of chicken breasts in this recipe so that the chicken is still tender by the time the rice is cooked through.